Buy Druswyn a Coffee. ko-fi.com/trotzflocke - Ko-fi ❤️ Where creators get paid by fans, with a 'Buy Me a Coffee' button. 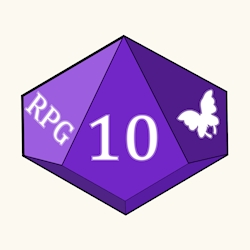 Pen & Paper related content in german from a gamemastress with 20 years experience, but also a noob by myself :D Working on a indie TTRPG and want to help new and old roleplayers with my stuff. Secured Payments. Support goes to Druswyn's account. Upgrade Druswyn to a yearly Gold Membership with a one-time payment.